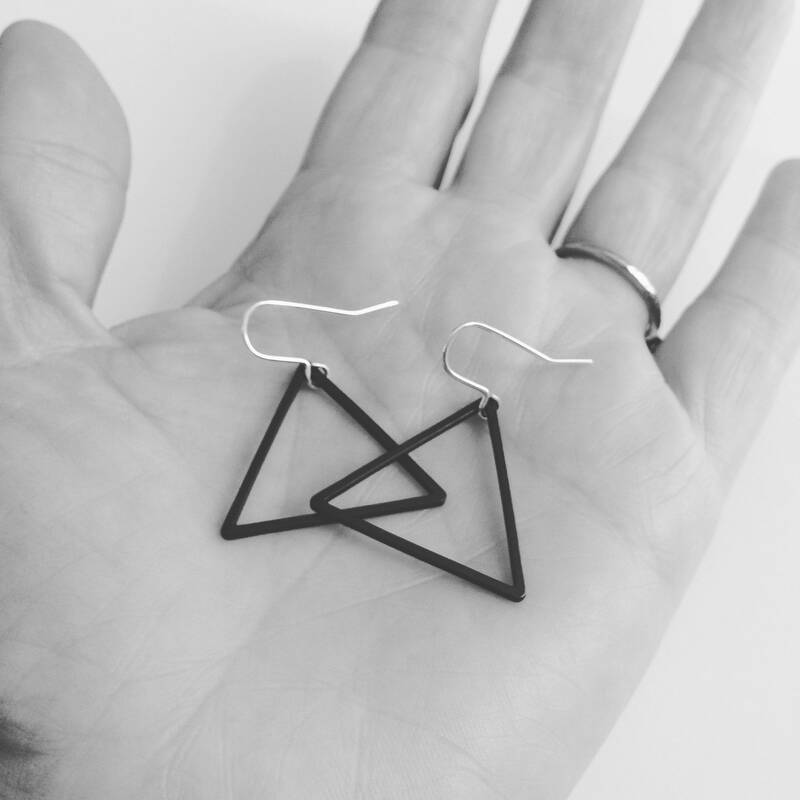 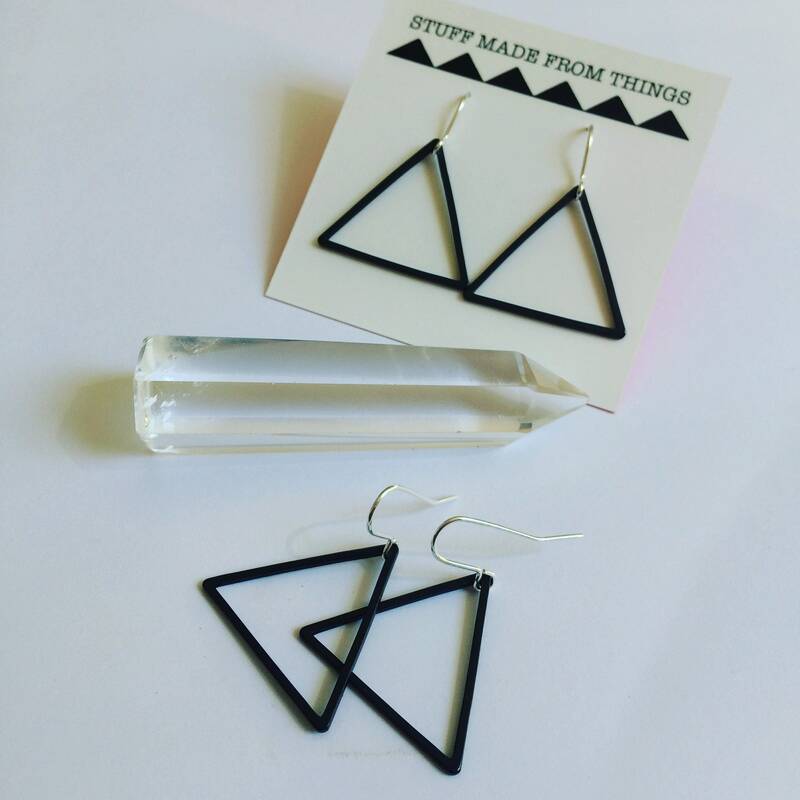 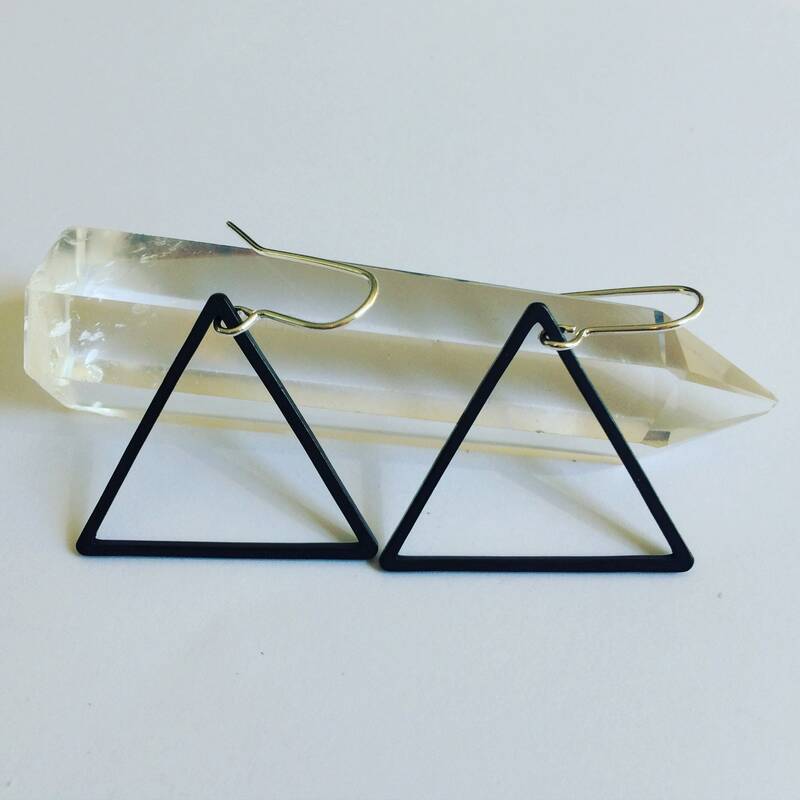 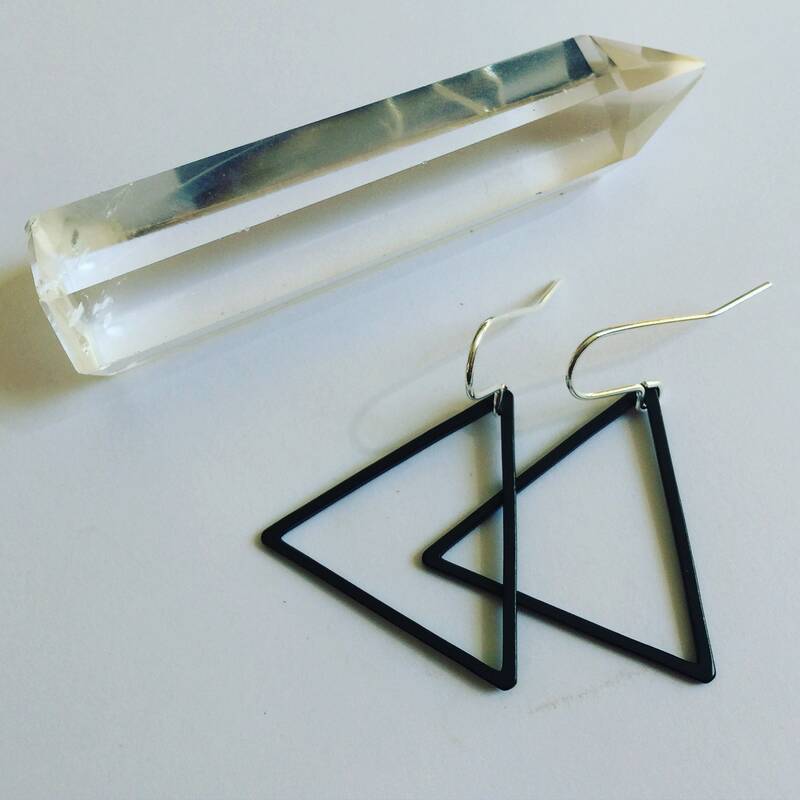 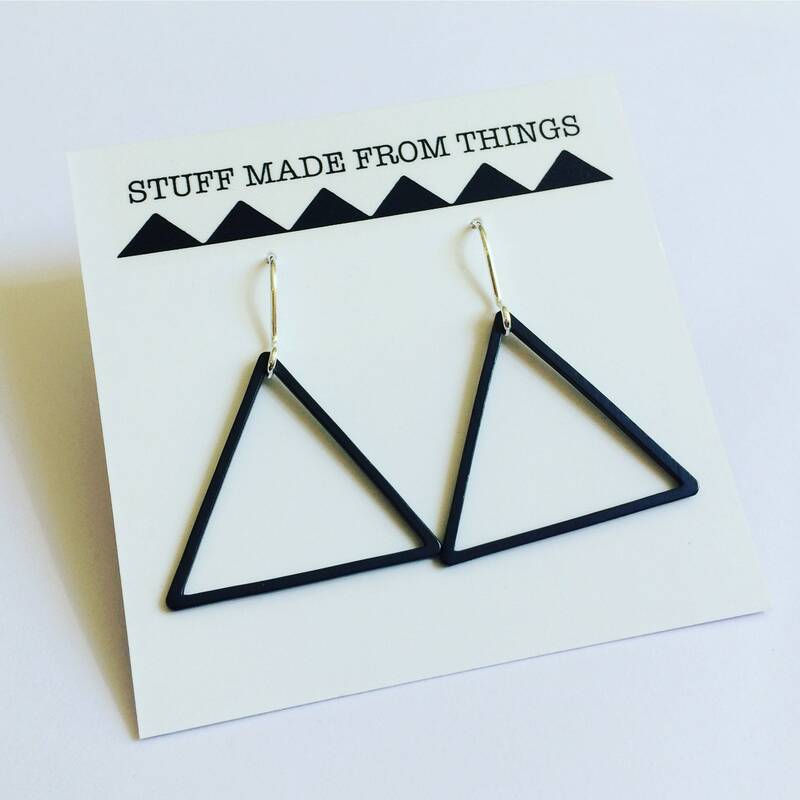 Black brass triangles on silver plated ear wires. 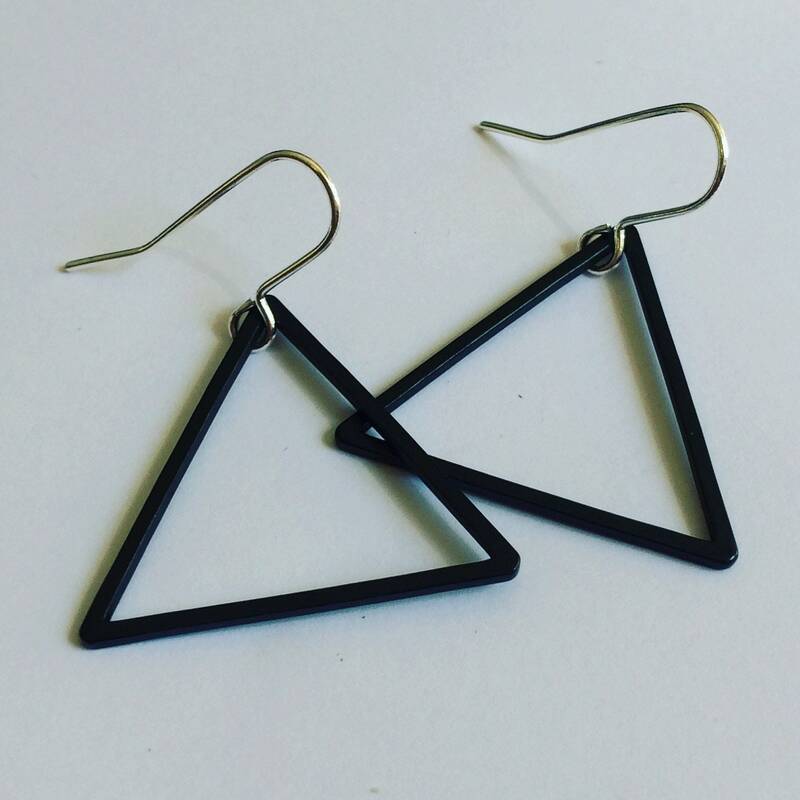 These earrings are a strong, no nonsense statement - delicate and feminine but bold at the same time. 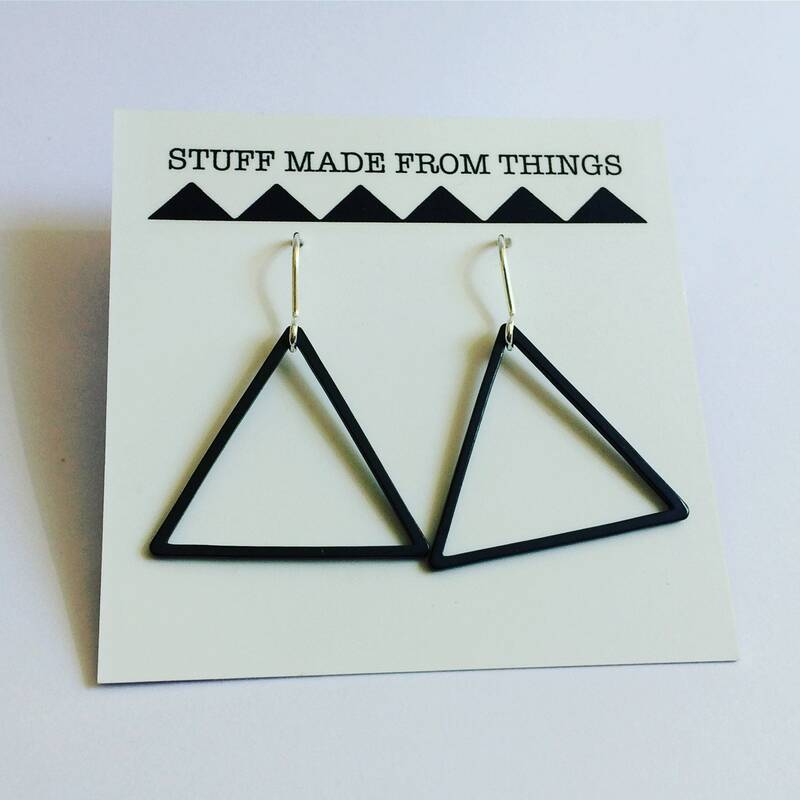 They come on card beautifully wrapped in coloured tissue paper.